We think this is a good thing and not something to complain about. Surely it is a positive development to have a bus network which does not rely on public funding and which is sufficiently well-used that it is self-sustaining? What would come from public funds is on-road infrastructure that would enable buses from any operator to run, possibly dependent on meeting particular service standards. 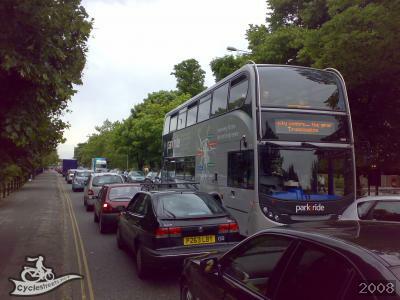 One of the problems with the current traffic situation is that the amount of congestion caused by cars on key routes means that the buses can get delayed. “One of the biggest problems we have as a company is that we’re stuck in the same congestion as everybody else. And I don’t believe you will persuade people to switch from their cars to buses until you have got rid of that problem. Buses are the key.” – Andy Campbell, managing director of Stagecoach. We agree with this assessment, and it is borne out by common sense. 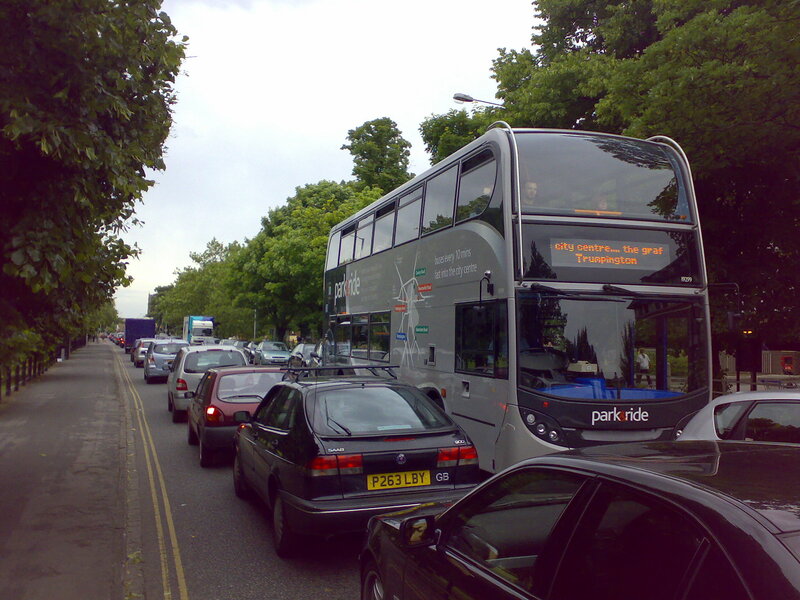 Freeing up of roadspace will act as a kick-start for the improvement of the reliability of bus services, causing a virtuous cycle of improvements. More people using buses will also mean that the financial viability of services should improve. This should reduce the need for subsidy, and in our view improve the likelihood of other companies introducing services.